Lawns, Parks, Shallow water, Anywhere you can walk. 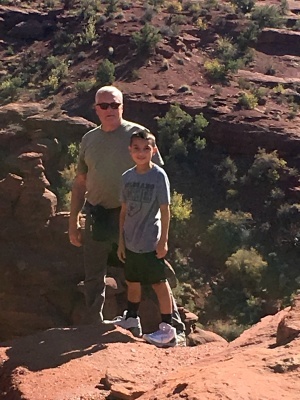 I am a semi-retired 60 something grandpa using metal detecting as an activity to keep my grandson and myself active and off the couch. We have been detecting for the last 2 years and have found many wonderful "treasures". Sometimes a treasure to an 8 year old is a rusty knife and an old spoon. I would love to use this site to teach him how to give back to others by giving his time and skills to help those in need. Thanks for the opportunity.